want a cool Facebook sign like this? scroll down to my section for the link! 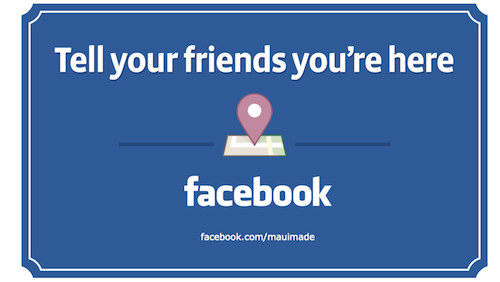 Last month, Facebook presented a workshop for small businesses on Maui. There was a decent attendance, but since there were a few people who could not attend, I decided to put together a few tips that I found useful (included at the bottom) and I also interviewed a few Maui Facebook users who attended or presented at the event. My interviewees include all levels of Facebook expertise, so there are tips below for everyone! If you have further questions or want to share your own tips, please leave them in the comments below or on our Facebook Page. Dean Wong is currently the Executive Director of Imua Family Services, but you may recognize him (besides being on the cover of Maui Times Weekly) as the Founder/Owner of Green Banana Cafe and Green Banana Frozen Yogurt Bar in Paia, former Front of House Manager at Maui Arts and Cultural Center. Miranda Camp is the owner of Maui Mana Adventures, which offers personalizes tours of Maui, involving hiking, stand-up paddling, snorkeling, or any combination of the three! 1. Remarketing: They mentioned the ability to upload your email list and then select that list to add into your ad marketing. I recommend making a special ad, with a special link to a unique page that presents a special offer only available via FB ad. That way you can watch the FB insights and google analytics to see how your ads work, and who is responding from your list. 2. The emphasis was on boosting posts and ads for website links. I think that’s the best advice they provided. Erik Blair is an independent web and social media consultant on Maui that helps small businesses focus on what they do best and enjoy most by providing a simple way to share their business or passion with a larger audience. Check out more on Erik at Google Me, Twitter, Blog, Website, and you can check out his thoughts on Tiny Houses! “When asked to participate as a panelist for the Facebook Small Business Boost event, we were totally excited! Since our business is only 6 months old and in it’s current form, is a traveling one, Facebook has been an extremely important way for us to start a rapport with our families. We don’t have a storefront to welcome them to on a daily basis, so our Facebook page is their “window” into our business. As Bess Yount, the Facebook presenter mentioned at the event, beautiful, eye-catching content is really important. Because personal posts receive the bulk of space on user’s news feeds (as they should! ), I challenge myself to share content I feel is visually inspiring. After all, we’re presenting our business posts amongst precious photos of lil babes, beautiful sunsets, and other visual moments people consider to be very important to them. I think respecting that fact helps me to gauge what is worthy of a post and so far, our audience seems to respond really well to our content. Be authentic: Share your passion and your customers will be excited to. Be consistent: Regular posts can help people notice you and build trust. Be responsive: When people comment on your posts, respond. This shows that you listen to what they say. Maui Children’s Bookstore + Cafe plans to create a beautiful space that will excite the senses of children and their loved ones through books + art + food. Until they find their permanent location, they will be teaming up with locally owned shops for one-day pop-up events this Summer. Here are some of the tips that I found interesting and/or good reminders to check! – Use a cover photo of the front of your business if applicable, so after they find your page, they can see you as they walk or drive by! 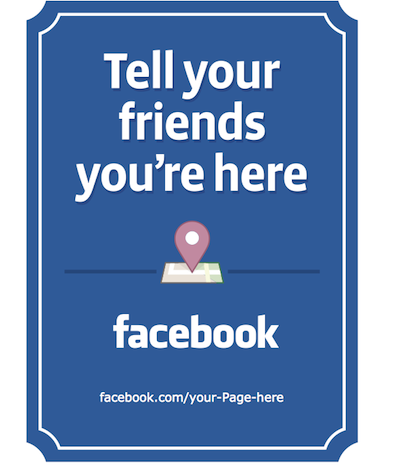 You can download official Facebook signage here! You can even add your own Facebook page right in the program! 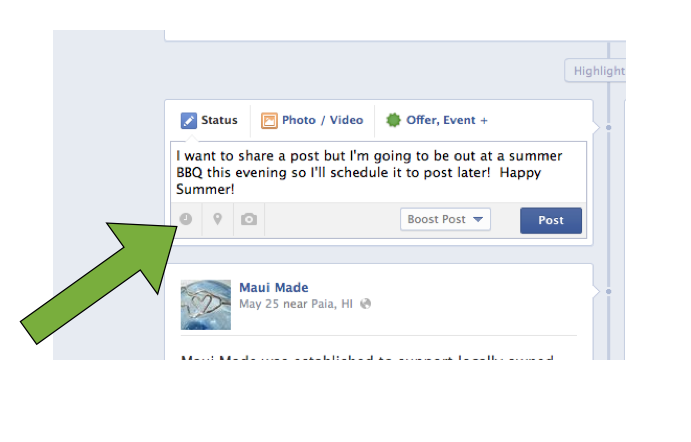 Ask questions – the more likes, shares and comments a post gets, the more Facebook will share it! and according to presenter Koa’s Seaside Grill, posts with people in them ei: a bartender holding a drink, get the best response. schedule posts ahead of time (for when you are on vacation, or actually working when you want your post to run) – just create your post and then click on the little clock! And because people love the personal side of Facebook – here are two great suggestions! Encourage your fans to send in their own photos and share those!